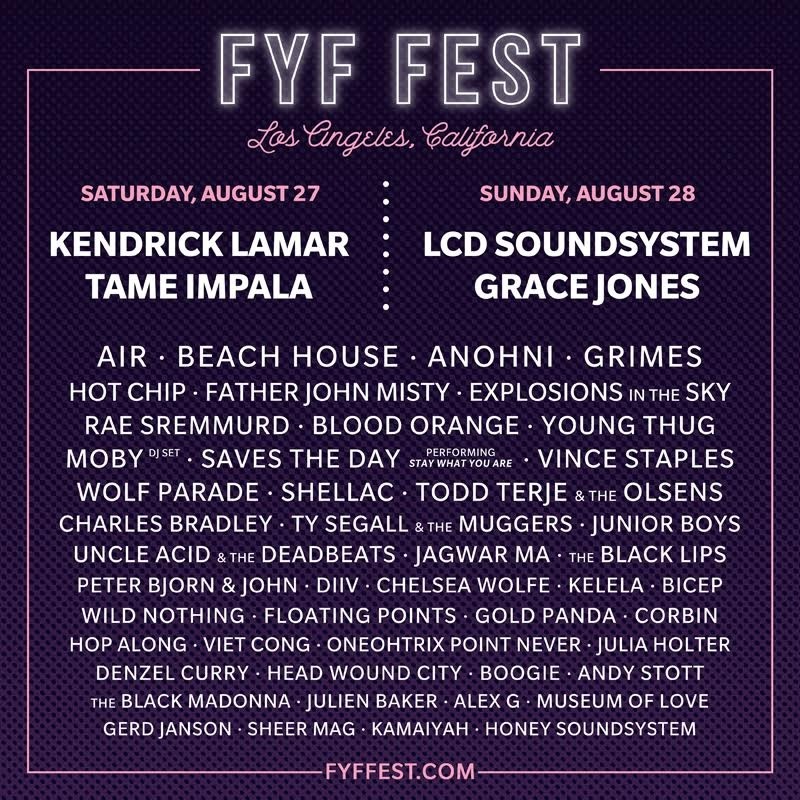 FYF Fest has just announced the set times for this weekend’s festival. That means you can now plan more specifically which sets you can catch. It also means you’re going to have to make some tough decisions, since there are going to be some time conflicts. 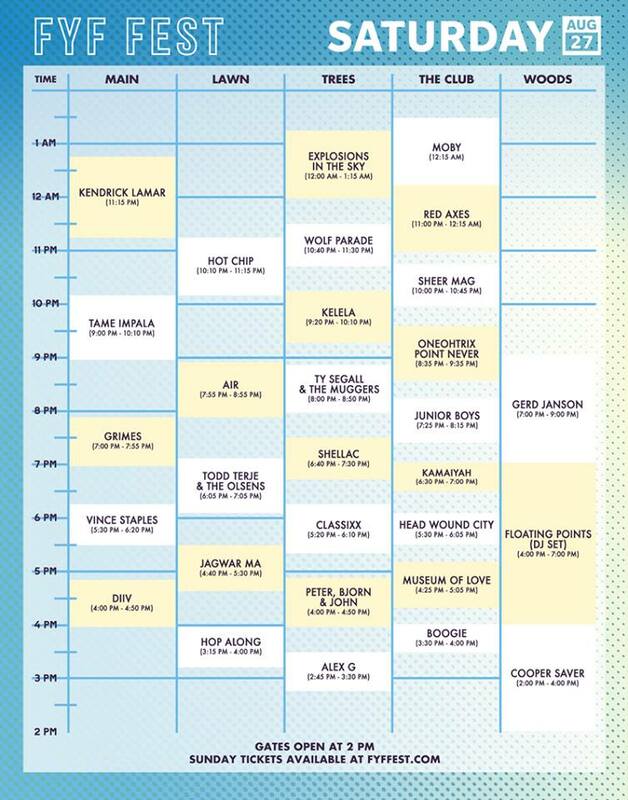 Festival-goers will have to decide between Grimes and Shellac; Tame Impala and Kelela; Sheer Mag and Hot Chip; Vince Staples and Head Wound City; Andy Stott, Grace Jones and Mac DeMarco; Beach House, Young Thug and Floating Points; Chelsea Wolfe, Rae Sremmurd and LCD Soundsystem; Father John Misty and Black Lips. Indeed, there are going to be some tough decisions to be made, or you can try to catch a few songs of every set. It is a festival, after all. You have the freedom to go wild. 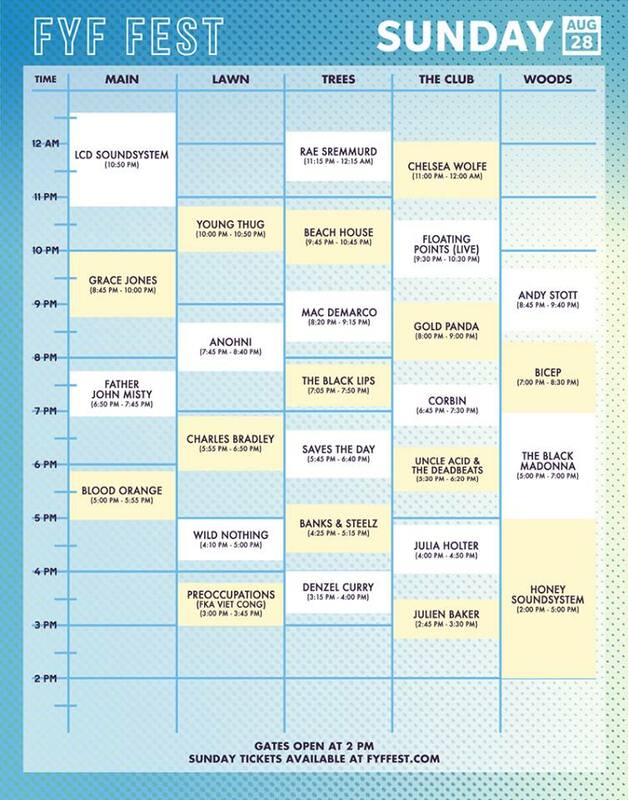 Check out the full schedules here or on the flyers below. Read our 2015 FYF Fest report.